Auto Ship & Earn + 174 Points What's this? High cholesterol can be a major factor in heart-related troubles. 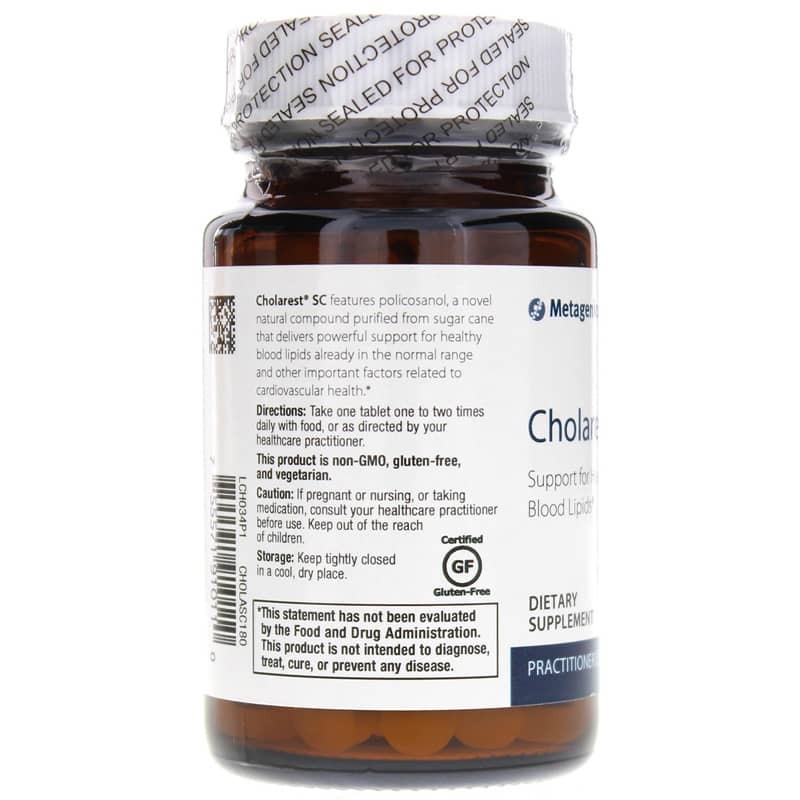 If you've adjusted your diet, but don't see much improvement, Metagenics offers Cholarest SC, an all-natural supplement that helps you get control of your cholesterol levels. Policosanol is a compound that is naturally derived from sugarcane. It provides powerful, all-natural support for healthy blood lipid levels and promotes optimal overall cardiovascular health. 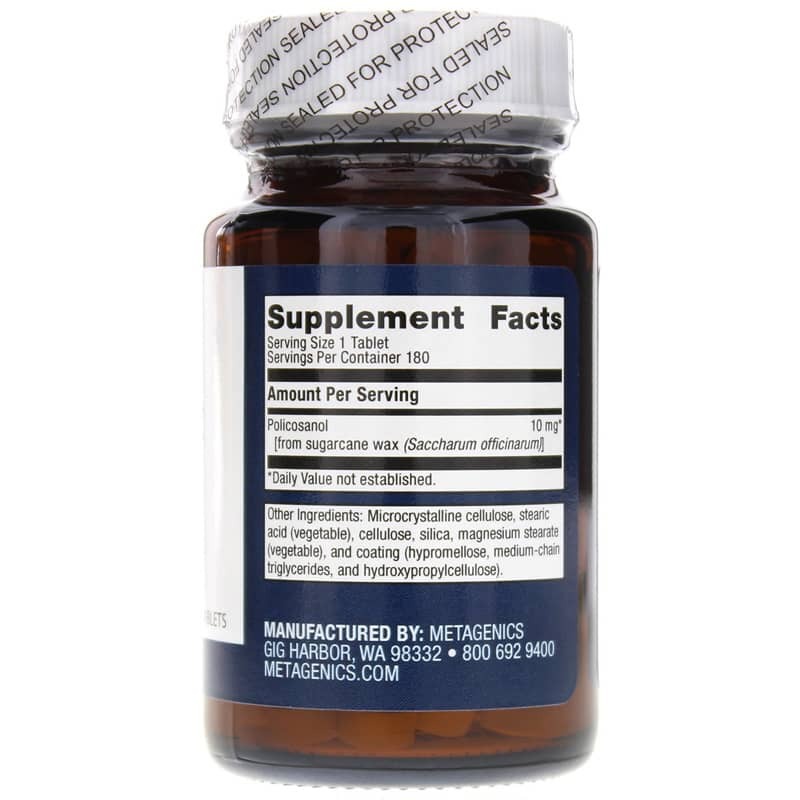 This supplement is all-natural and made without GMOs or gluten. Take care of your heart. 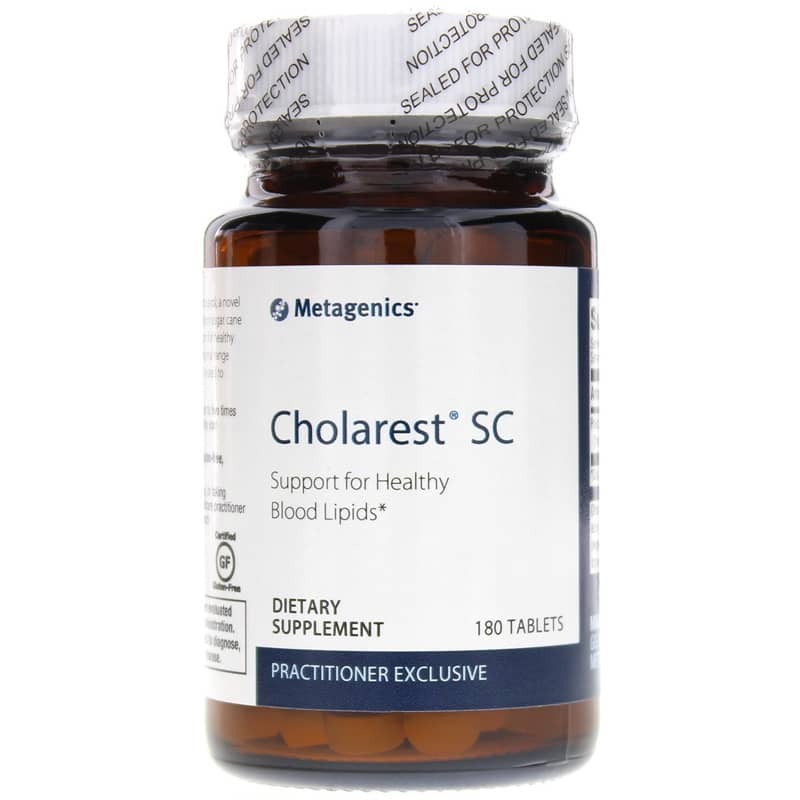 Choose Cholarest SC from Metagenics to maintain healthy cholesterol and blood pressure levels. Give it a try today and keep your heart at optimal health. Order now and see the difference it can make! Other Ingredients: microcrystalline cellulose, stearic acid (vegetable), cellulose, silica, magnesium stearate (vegetable), and coating (hypromellose, medium chain triglycerides, and hydroxypropylcellulose). Adults: Take 1 tablet one to two times daily with food or as recommended by your health care professional.